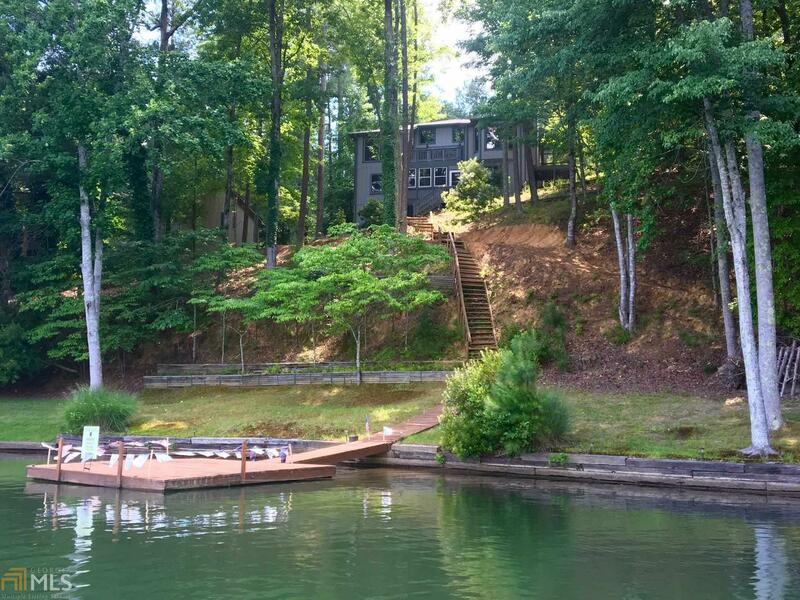 AMAZING LAKEFRONT PRICE REDUCTION FOR YEAR END. GOING BACK UP IN JANUARY BUY IT NOW. ! LAKEFRONT WITH BIG WATER VIEWS describes this 4 bedroom 3.5 bath Ranch on Basement! Level driveway and extra half lot! You could add more Garages easily. Upgraded Mahogany Trim, New Hardwood Floors, Granite Kitchen Countertops, New Appliances and UV HVAC System. Recently added Cart Path to 98 +- feet of sparkling water frontage with your own private dock on 540 acre boating lake! Gated Neighborhood with 24 hour security, golf, pools, tennis, walking trails and playgrounds. All 1 hour from Atlanta, close to shopping and dining. Spectacular lake views! YOU GOTTA SEE THIS ONE IT&apos;S THE BEST FULL SIZE HOME VALUE ON LAKE ARROWHEAD!! Directions: I-575 N To Exit 20 Riverstone Pkwy L Then Rt On 140 N 8 Miles Left On Little Refuge To Gate For Map.